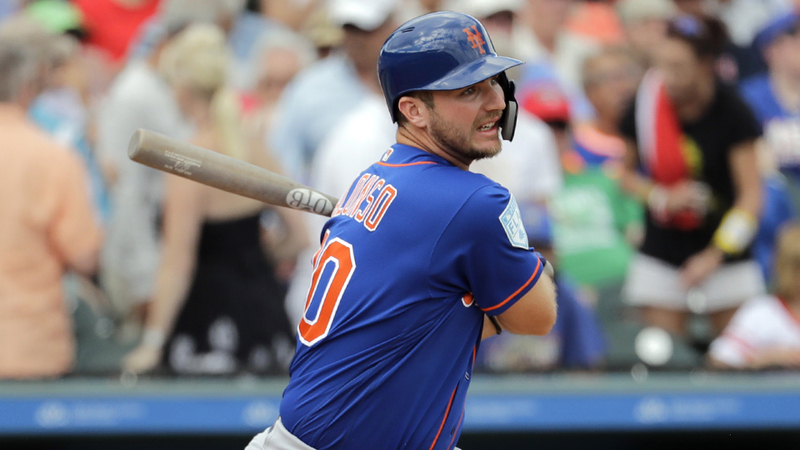 The Mets announced their final roster moves ahead of Opening Day on Thursday afternoon, most notably that first baseman Pete Alonso is on the team to start the season. They also selected the contract of left-handed pitcher Luis Avilán and recalled right-handed pitcher Tim Peterson. The Mets also released the following updates on injured players: they placed outfielder Yoenis Céspedes on the 10-Day Injured List, retroactive to March 25, as he recovers from left and right heel surgery, placed catcher Travis d’Arnaud on the 10-Day Injured List, retroactive to March 25, as he recovers from Tommy John surgery, placed infielder Todd Frazier on the 10-Day Injured List, retroactive to March 25, with a left oblique strain, placed infielder Jed Lowrie on the 10-Day Injured List, retroactive to March 25, with a left knee capsule sprain and placed RHP Drew Smith on the 10-Day Injured List, retroactive to March 25, as he recovers from Tommy John surgery.